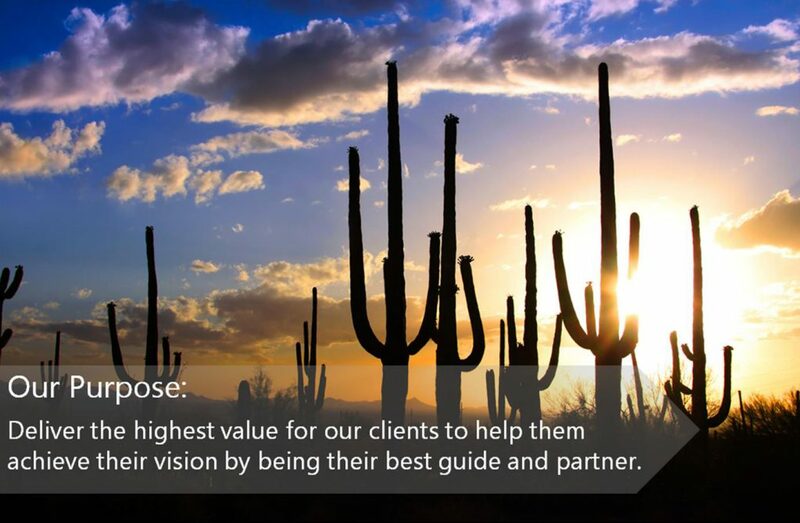 Our purpose is to deliver the highest value for our clients to help them achieve their vision by being their best guide and partner. But, what is a partner? What is a guide? And in which order should they occur? A partner is defined as one who takes part in an undertaking with others. A guide is a person who assists others to reach a destination by accompanying them. HBL was started in 1973 with a commitment to provide excellent client service. But over the last 40 years we have learned that providing excellent service isn’t enough. Clients expect excellent service. We wanted to do better. And so the concept of being our clients’ best partner and guide was developed. To that end, and through both organic growth and strategic mergers, the Firm has committed to developing expertise and in-depth knowledge of our diverse client portfolio, be they nonprofit organizations, construction and commercial real estate companies, medical practices, and the varied other businesses that we serve. The Firm and all assigned professional staff are properly registered and licensed to practice in the State of Arizona. Our Firm is a member of the American Institute of Certified Public Accountants, Arizona State Society of CPA’s, and a long-standing member of CPAmerica, which ranks as the ninth largest global network of independent audit and advisory services firms in the world. And although we are a locally-owned company with a physical office in Tucson, Arizona, we have the advantage of being a technologically-advanced “virtual” firm, which allows us to maintain an ongoing relationship with our clients no matter where they are located, no matter where they do business. So as our clients grow and mature, we can continue to be their best guide and partner, in part through our association with CPAmerica which provides us a vast array of resources, both national and international, that are, in turn, available to our clients. With our management groups’ combined professional experience in excess of 200 years, we would love the opportunity to accompany you side by side as you journey towards achievement of your goals and fulfillment of your vision.